Headlining Band at the TIN LIZARD on May 17 & 18! 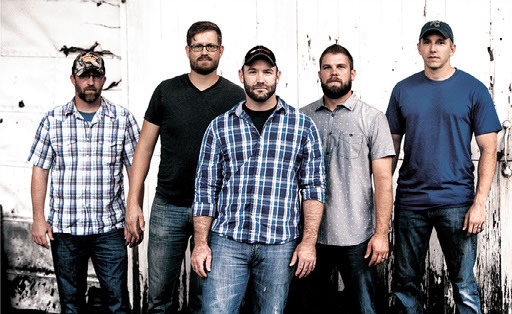 Morrison County - Morrison County is a Wichita based band playing a diverse range of country music. Their sound includes everything from heavy rock guitar to soft ballads to classic country twang. Artists such as Brad Paisley, Aaron Watson, Ryan Adams, Mike Ryan, Amos Lee, Keith Urban, Stevie Ray Vaughn, and many others have influenced their writing style and sound. The band places a strong emphasis on writing and performing music that hits home to them and their audience.